Allergies keeping you down? Fight back with this powerful plant. Fifty million Americans and 1 in 5 Canadians have allergies. A runny nose, sneezing, itchy eyes, and hives are symptoms familiar to many who suffer seasonal allergies. Allergy symptoms are triggered by pollen surges throughout the year. While some have seasonal allergies limited to spring time, others experience the unpleasant symptoms year round. An allergy is an overaggressive immune response to substances, foods, pollen, and/or animal dander. Histamines are released into the lining of the mucosal membranes in response to allergen exposure. Over-the-counter allergy medications block the histamine pathway but cause some unpleasant side effects such as dry mouth, dizziness, drowsiness, nausea, and restlessness in children. Diet, psychological stressors, and pro-inflammatory immune activity are linked to a hyperactive immune response, so alternative therapeutics involves dietary modification, lifestyle changes, and botanicals that help reduce inflammation and strengthen the immune system. Stinging nettle, Urtica dioica, is a plant packed with vitamins, minerals, and anti-inflammatory properties. It has fine hairs on its leaves and stems that release irritating chemicals when it comes in contact with the skin. Historically, it has been used to treat muscle and joint pain, eczema, arthritis, gout, and anemia. Many modern day studies have shown it to be highly effective for treating urinary disorders, joint pain, and allergies. Allergy relief: The hair fluid in the stinging nettle contains acetylcholine and histamines which produce the stinging sensation elicited when in contact with the human skin. This leads to vasoconstriction. The classical nasal drip is due to dilation of the blood vessels in the nasal passages coupled with the smooth muscle contraction, making the nasal mucosa “leaky”. Nettle comes as a juice or a freeze-dried supplement that can be mixed into tea. For anti-inflammatory effects, the average dose is 4–6 grams per day. For allergy relief, you may start with a dosage of 300 mg 2-3 times a day and increase weekly to an effective dose that keeps allergies at bay. Make sure you drink at least 2 liters of liquid each day. Side effects, toxicity, and interactions are rare. Allergic reactions only happen in rare cases. Nettle may cause stomach cramps or diarrhea. If this happens, stop using it or use less of it. Pregnant women or breastfeeding mothers should use sparingly as it can lead to dehydration via its diuretic properties. Beware of medication interaction. Nettle may interfere with blood thinners, diabetes and heart medications, and lower blood pressure. Before using this or other herbal supplements, please consult with your primary care provider. Schulze-Tanzil G, de SP, Behnke B, Klingelhoefer S, Scheid A, Shakibaei M. Effects of the antirheumatic remedy hox alpha – a new stinging nettle leaf extract – on matrix metalloproteinases in human chondrocytes in vitro. Histol Histopathol 2002;17:477-485. Helms S, Miller A. Natural treatment of chronic rhinosinusitis. Altern Med Rev. 2006;11:196-207. Ernst E, Chrubasik S. Phyto–anti-inflammatories. A systematic review of randomized, placebo-controlled, double-blind trials. Rheum Dis Clin North Am. 2000; 26:13-27. Gülçin I1, Küfrevioglu OI, Oktay M, Büyükokuroglu ME. 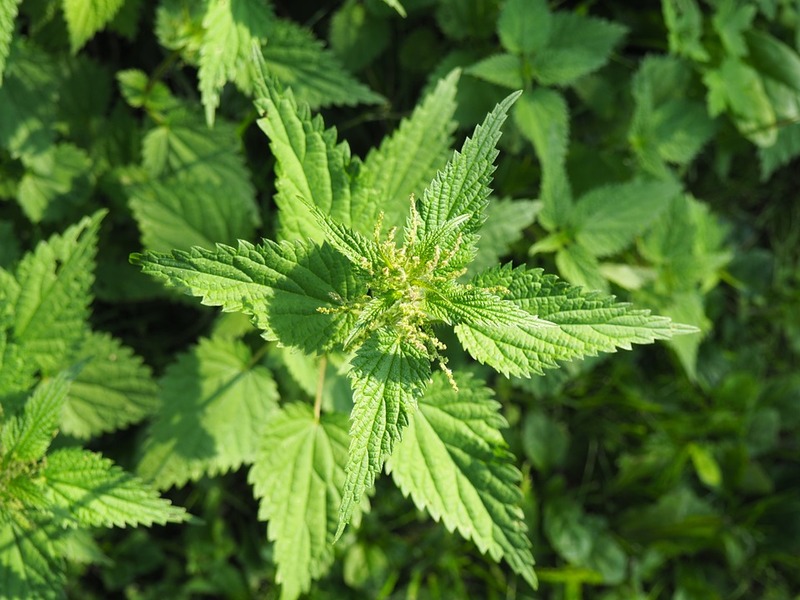 Antioxidant, antimicrobial, antiulcer and analgesic activities of nettle J Ethnopharmacol. 2004 Feb; 90(2-3):205-15.